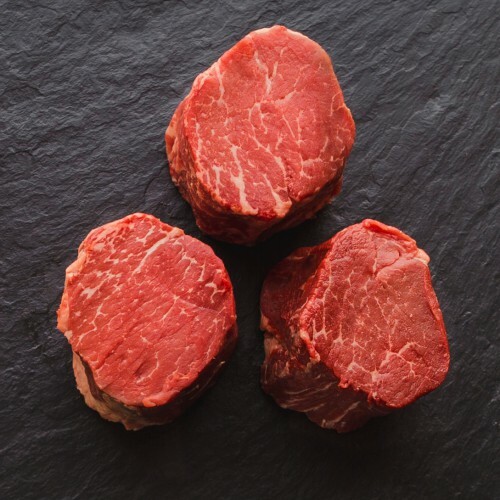 Our All Natural Boneless Filet Mignon is the most tender cut of beef on our menu. Exceptionally juicy, these filets have lower fat, calories and cholesterol than conventional beef. Like all of our cuts, this beef cooks far more quickly than conventional meat due to its high moisture content.